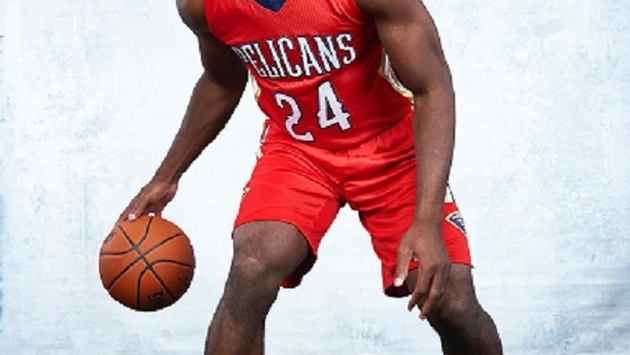 Earlier this year, when Chavano “Buddy” Hield was selected in the NBA Draft by the New Orleans Pelicans, his family and friends back home in the Bahamas were sure to be thrilled. After all, he is only one of a handful of basketball players to make it from the Bahamas to The Association. Now, the Bahamas Ministry of Tourism (BMOT) is hoping that the attention on Hield will also draw attention to the islands. The Ministry has recently entered into a sports tourism partnership with the New Orleans Pelicans as a partner and the official paradise destination of the team. It’s a natural fit for the Ministry and the NBA team. Hield was born in the West Grand Bahamas in the township of Eight Mile Rock and has six siblings. He practiced hoops all the time with a makeshift basketball net and ultimately became a member of the University of Oklahoma's basketball team. He led the Sooners to a Final Four for the first time in 14 years and was second in the NCAA in points per game (25.0) before being drafted. In an interview, Hield’s mother, Jackie, once said, “He used to run through these streets telling everyone he was gonna be like Kobe. Now, all the kids around here say they want to be like Buddy." The Bahamas are home to some of the most beautiful beaches in the world, where travelers dive, snorkel, swim and fish. Rum aficionados will also want to travel here for a taste of the hometown rum, a tour of the John Watling’s distillery and the RumBahamas annual two-day festival that will be held in Fort Charlotte, Nassau. Visitors love touring the Bahamas’ national parks, which are home to the world's longest underwater cave systems, a sea turtle research facility, a large collection of rare palms, and 250 acre wetlands. The 40 acres of Lucayan National Park, which was established in March, 1982, is located between Freeport and Freetown at Gold Rock Creek. In Nassau, the island’s capital, water buffs can enjoy scuba diving, diving and snorkeling. Families also love the Bahamas, where kids of all ages can appreciate the Pirates of Nassau Museum, embark on a tour of a pirate ship, visit Dolphin Cay, an animal rescue-rehabilitation facility, and stroll through the Ardastra Gardens & Zoo, the first and only zoo in The Bahamas. A visit to the Bahamas wouldn’t be complete without tasting some of the island’s favorite dishes including seafood like Conch, the sweet Johnnycake, guava pudding, and other treats. Starting in May 2017, The Bahamas Ministry of Tourism will make getting to the Bahamas a bit easier for Pelicans fans. There will be a direct flight from New Orleans to Grand Bahama.